A WhatsApp user has claimed that she’s able to see someone else’s messages in her own app. The alleged bug means a random person’s private texts may have been exposed to a complete stranger. According to Sean Keach, the Digital Technology and Science Editor at UK’s The Sun, this particular fail was spotted by Abby Fuller, an Amazon employee who works at the company’s Amazon Web Services division. Keach writes: Fuller complained about the bug on Twitter, saying “this doesn’t seem right”. “Logged into WhatsApp with a new phone number today and the message history from the previous number’s owner was right there?! Fellow Twitter users were quick to bombard her with questions – to see if she’d done something wrong, or to work out an explanation. “Yes they were in plaintext. I am sure it’s my phone number. It was not restored from a backup,” Fuller added. For now, this appears to be an isolated incident – no one else seems to have complained about a similar mistake. But it’s seriously worrying if people can be able to access your message history without your authorisation. 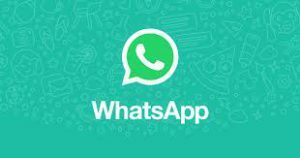 WhatsApp has not yet responded to Keach’s inquiry.